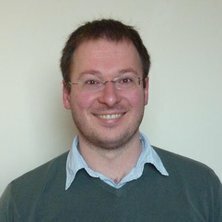 Dr James Watson is a member of the Joint Remote Sensing Research Program (https://www.jrsrp.org.au/). James received a PhD in Computer Science from the University of Queensland, and has previously worked at the Institute for Climate and Atmospheric Science (University of Leeds, United Kingdom) and the Queensland Alliance for Agriculture and Food Innovation (UQ). He is a contributing author of the Fifth Assessment Report of the Intergovernmental Panel on Climate Change (AR5), and designed the data pipeline of the GECKO proximal sensing project. James has developed a number of novel feature detection algorithms, and is experienced in high performance computing, dynamic visualizations, and the calibration and programming of hyperspectral, LIDAR, GPS and thermal sensors. I am currently investigating methods for analysing land use history from Landsat and Sentinel satellite data. Porter, John R., Xie, Liyong, Challinor, Andrew J., Cochrane, Kevern, Howden, S. Mark, Iqbal, Muhammad Mohsin, Lobell, David B., Travasso, Maria Isabel, Netra Chhetri, Netra Chhetri, Garrett, Karen, Ingram, John, Lipper, Leslie, McCarthy, Nancy, McGrath, Justin, Smith, Daniel, Thornton, Philip, Watson, James and Ziska, Lewis (2014). Food security and food production systems. In Christopher B. Field, Vicente R. Barros, David Jon Dokken, Katharine J. Mach, Michael D. Mastrandrea, T. Eren Bilir, Monalisa Chatterjee, Kristie L. Ebi, Yuka Otsuki Estrada, Robert C. Genova, Betelhem Girma, Eric S. Kissel, Andrew N. Levy, Sandy MacCracken and Patricia R. Mastrandrea (Ed. ), Climate change 2014: impacts, adaptation, and vulnerability. Part A: global and sectoral aspects (pp. 485-533) New York, United States: Cambridge University Press. Watson, James, Abbass, Hussein A., Lokan, Chris and Lindsay, Peter (2008) Software engineering for artificial life, complex systems, and agent-based distillation. Complexity International, 12 1-13. Watson, James , Potgieter, Andries , George-Jaeggli, Barbara , Laws, Kenneth , Eldridge, Mark , Hammer, Graeme and Jordan, David (2017). Taking cover: an assessment of the performance of sensor hardware and algorithms for estimating sorghum cover. In: TropAG 2017, Brisbane, Australia, (). 20-22 November 2017. Watson, James, Potgieter, Andries, Holland, Edward, Jordan, David and Hammer, Graeme (2016). The design and implementation of a high-throughput data pipeline for an agricultural proximal sensing platform. In: eResearch 2016, Melbourne, (). 10-14 October, 2016. Koehler, Ann-Kristin, Challinor, Andrew and Watson, James (2014). Exploring synergies in field, regional and global yield impact studies. In: Modelling climate change impacts on crop production for food security: Abstract Book. CropM International Symposium and Workshop, Oslo, Norway, (34-34). 10-12 February 2014. How have uncertainties in projected yields changed between AR4 and AR5? Challinor, Andy, Watson, James, Lobell, David, Howden, Mark and Vermeulen, Sonja (2014). How have uncertainties in projected yields changed between AR4 and AR5?. In: Modelling climate change impacts on crop production for food security: Abstract Book. CropM International Symposium and Workshop, Oslo, Norway, (15-15). 10-12 February 2014. Watson, James and Challinor, Andrew (2014). Measuring the impact of climate and yield data errors on regional scale crop models. In: Modelling climate change impacts on crop production for food security: Abstract Book. CropM International Symposium and Workshop, Oslo, Norway, (-86). 10-12 February 2014. Watson, James and Challinor, Andrew (2013). Towards metrics for using process-based and statistical models to project regional-scale crop responses to climate. In: European Geosciences Union General Assembly 2013, Vienna, Austria, (). 7-12 April 2013. Watson, James and Challinor, Andrew (2011). Quantifying the impact of input data uncertainties in regional scale crop-climate modeling. In: American Geophysical Union (AGU) Fall Meeting 2011, San Francisco, CA, USA, (). 5-9 December, 2011. Challinor, Andrew, Hawkins, Ed and Watson, James (2011). Towards improved crop-climate projections: the role of calibration and weather data. In: American Geophysical Union, Fall Meeting 2011, San Francicso, CA, United States, (). 5-9 December 2011. Watson, James, Wakabayashi, Mark, Moore, Jared, Sanin Montoya, Andres, Willadsen, Kai, Geard, Nic, Bradley, Daniel and Wiles, Janet (2007). Computational techniques for modeling complex biological systems. In: The 8th Asia-Pacific Complex Systems Conference: COMPLEX 07. Handbook & Abstracts. Complex 07: 8th Asia-Pacific Complex Systems Conference, Gold Coast, QLD, Australia, (46-46). 2-5 July, 2007. Watson, J., Maetschke, S. and Wiles, J. (2007). Dsweep: A lightweight tool for distributed parameter sweeps. In: Nigel Crook and Tjeerd olde Scheper, Proceedings of the Seventh International Workshop on Information Processing in Cells and Tissues 2007 (IPCAT 2007). Seventh International Workshop on Information Processing in Cells and Tissues (IPCAT 2007), Oxford, United Kingdom, (400-408). 29-31 August 2007. Watson, James and Wiles, Janet (2007). Interactively exploring distributed computational models of biology. In: The 8th Asia-Pacific Complex Systems Conference: COMPLEX 07. Handbook & Abstracts. Complex 07: 8th Asia-Pacific Complex Systems Conference, Gold Coast, QLD, Australia, (). 2-5 July, 2007. Watson, J. R., Hawkins, J. C., Bradley, D. R., Dassanayake, D., Wiles, J. H. and Hanan, J. S. (2005). Towards a network pattern language for complex systems. In: H.A. Abbass, T. Bossomaier and J. Wiles, Recent Advances in Artificial Life. Australian Conference on Artificial Life (ACAL'05), Sydney, Australia, (309-317). 5-9 December 2005. Watson, J. R., Abbass, H., Lokan, C. and Lindsay, P. A. (2004). Software engineering for artificial life, complex systems, and agent-based distillation. In: R. Stonier, Q. Han and W.Li, Proceedings of the Seventh Asia-Pacific Conference on Complex Systems. The Seventh Asia-Pacific Conference on Complex Systems, Cairns, (649-661). 6-10 December, 2004. Watson, James, Wiles, Janet and Hanan, Jim (2003). Towards More Relevant Evolutionary Models: Integrating an Artificial Genome With a Developmental Phenotype. In: H. Abbass and J. Wiles, Proceedings of the 1st Australian Conference on Artificial Life. The 1st Australian Conference on Artificial Life (ACAL 2003), Canberra, Australia, (288-298). 6-7 December, 2003. Wiles, Janet, Watson, James, Tonkes, Bradley and Deacon, Terrence (2002). Evolving Complex Integrated Behaviour by Masking and Unmasking Selection Pressures. In: International Conference on Complex Systems (ICCS2002), Nashua, NH, United States, (). 9-14 June 2002. Watson, James, Geard, Nicholas and Wiles, Janet H. (2002). Stability and Task Complexity: A Neural Network Model of Evolution and Learning. In: Standish, R. K., Bedau, M. A. and Abbass, H. A., Artificial Life VIII: Proceedings of the Eighth International Conference on Artificial Life. The 8th International Conference on Artificial Life (Artificial Life VIII), Sydney, Australia, (153-156). 9-13 December, 2002. Watson, J. R. and Wiles, J. H. (2002). The rise and fall of learning: A neural network model of the genetic assimilation of aquired traits. In: D. Fogel and M. El-Sharkawi et al., Proceedings of the 2002 Congress on Evolutionary Computation. 2002 Congress on Evolutionary Computation, Hawaii, (600-605). 12-17 May, 2002. Wiles, J. H., Tonkes, B. and Watson, J. R. (2001). How learning can guide evolution in hierarchical modular tasks. In: J.D. Moore and K. Stenning, Proceedings of the Twenty-Third Annual Conference of the Cognitive Science Society. Twenty-Third Annual Conference of the Cognitive Science Society, Edinburgh, Scotland, (1130-1135). 1-4 August, 2001. Watson, James Robert (2006). From genotypes to phenotypes and back again: modeling the interaction between individual behaviour and evolution PhD Thesis, School of Information Technology and Electrical Engineering, University of Queensland.